Responding to an “electronic threat” emailed to multiple members of the school board and campuses, all Los Angeles Unified School District campuses were closed today and a massive effort began to search the roughly 900 schools in the district. Officials in New York City said schools there received a similar threat, but officials did not believe it was credible, and campuses remained open. Los Angeles officials, however, defended the decision, with Superintendent Ramon Cortines saying that “based on past circumstances, I could not take the chance” of allowing schools to reopen. School Police Chief Steve Zipperman said the campuses would remain closed until they are deemed to be safe. 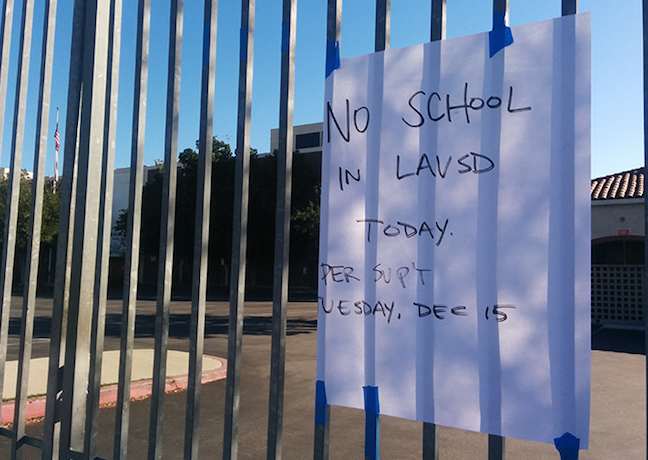 The LAUSD closure applied to all campuses –more than 900 of them. The district, the nation’s second biggest, serves more than 700,000 students. Most other Southland schools outside the LAUSD remained open, although there were sporadic reports of some Catholic schools in the Los Angeles Archdiocese being closed because of their proximity to LAUSD campuses. Diocese officials said that decision was being left to individual school principals. 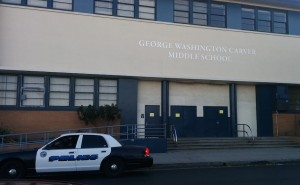 LAUSD officials would not provide specifics of the threat, which was initially reported by police to have come via telephone, but was later revealed to have come in via email, possibly from Frankfurt, Germany. LAPD Chief Charlie Beck said late this morning, however, that officials believe the email likely originated from somewhere much closer than Germany. Sherman said the email referenced bombs or possible nerve agents and suggested there were about 32 people involved in possibly planting the devices. “The text of the email does not demonstrate that the author has studied Islam or has any particular understanding of Islam,” Sherman said. Although no specifics of the threat have been released, Bratton told reporters in New York that the threat officials received there mentioned. “Allah,” but the word wasn’t capitalized –providing a clue that the threat might be a hoax. Beck said, however, the email contained very specific threats aimed at the LAUSD. He had strong words for anyone who might criticize Cortines for deciding to close the schools, saying the “safety of our children” is the highest of priorities. “These are very high stakes,” Beck said. Mayor Eric Garcetti also threw his support behind Cortines. “The decision to close the schools is not mine to make, but it is mine to support as the mayor of Los Angeles,” Garcetti said. He said decisions need to be made “in a matter of minutes” and it’s unfair to be critical of Cortines when the safety of children is at stake. The mayor also said the email threatened that weapons were already in place at campuses. School officials told parents to keep their kids home and retrieve those already taken to school by meeting them at the campuses’ reunion gates. Students will be supervised until they are picked up, officials said. Board of Education President Steve Zimmer said the district was acting “out of an abundance of caution.” He urged parents to negotiate time off to be with kids and called on employers to show maximum flexibility. Metro offered LAUSD students free rides on buses and rail lines. Cortines said he ordered all campuses to be searched, which promised to require a colossal effort involving a multitude of agencies. “I want every school searched, to make sure that it is safe for children and safe for staff to be there on Wednesday,” Cortines said. 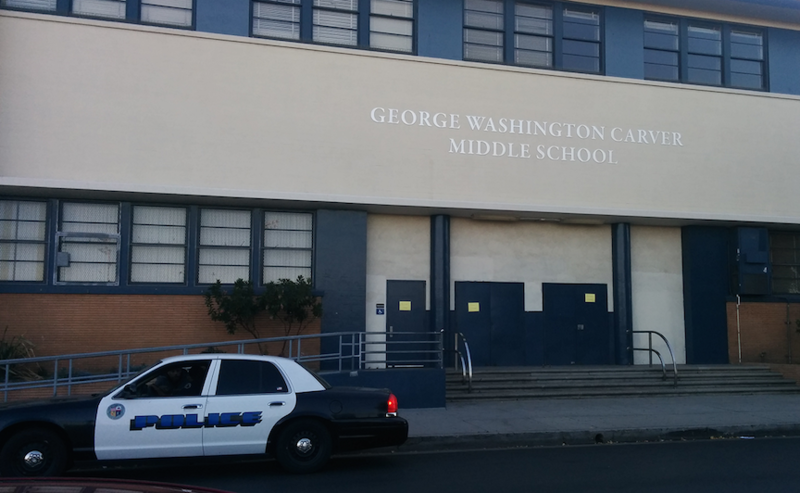 “As a result of that threat, the Los Angeles School Police Department, as well as the Los Angeles Police Department and the FBI were notified, and right now, the threat is still being analyzed,” Zipperman said. Officials with the U.S. Bureau of Alcohol, Tobacco, Firearms and Explosives were also taking part in the investigation. The Los Angeles County Sheriff’s Department was assisting in the effort to search schools. 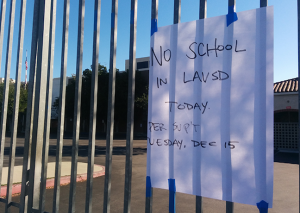 The LAUSD closures came on a day when finals were scheduled at high schools, leading some students to speculate that a student fearing exams was involved, according to broadcast reports. The bulk of other Southland school districts announced that classes were continuing as normal, although some, such as Pasadena, said they would have stepped-up security on campuses. The two high schools run by the Los Angeles County Office of Education—the High School for the Arts on the Cal State Los Angeles campus and International Polytechnic High School on the Cal Poly Pomona campus—remained open. The LACOE did not receive a threat and determined that both locations were safe for students, according to LACOE spokeswoman Margo Minecki. Minecki said another high school on the Cal State LA campus—Alliance Marc & Eva Stern Math and Science School — was closed because it is part of the LAUSD system. We have not heard reports of any other closures” from the other 79 school districts in the county that the LACOE supports, Minecki said. However, she cautioned that those districts are independently run and would not necessarily reach out to the LACOE to report closures. Senate President Pro Tem Kevin de Leon assured the Senate will work to ensure LAUSD schools receive attendance funding despite district wide closure. “Loss of funding should never be factor in keeping students safe,” he said in a tweet. The LAUSD set up an information hotline for parents at (213) 241-2064.